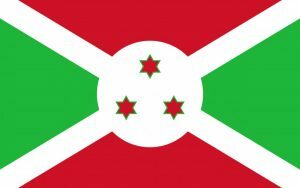 Burundi is one of the materially poorest countries in the world. Hope Fund Burundi is out to change that. Since 2006, they have offered great microfinance services in the form of savings and loans. The vast majority of their program funding comes from Burundians who are very committed to helping their neighbors. They are now focused on extending their services to the rural poor in Burundi and PEER Servants is partnering with them to that end. Capacity Building: Helping Hope Fund Burundi with a website, annual report, video, product development, market research, staff retention strategies, board and staff training, spiritual integration, and strategic planning. Resource Development: Raising $20,000 for the 2019 Burundi Fund. Networking: Helping Hope Fund Burundi learn from and teach other partners in the PEER Servants network. General Support: Encouraging Hope Fund Burundi staff, praying for them, visiting them, hosting them, and receiving what God has given them for us.